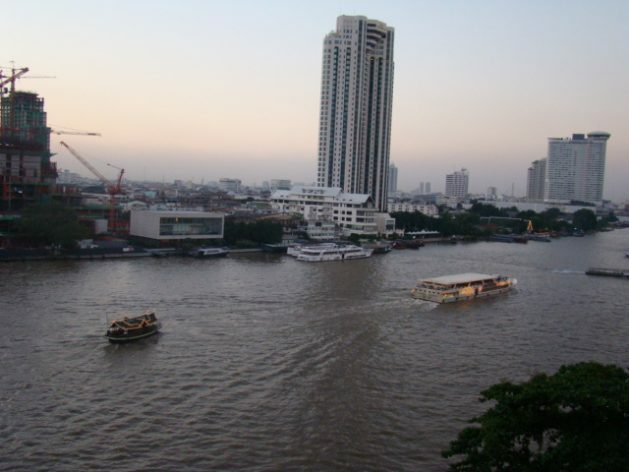 BANGKOK , Aug 1 2018 (IPS) - As preparations are underway for an important formal discussion between countries committed to the Paris Agreement; Thailand, Southeast Asia’s second-largest economy, has been determining its progress towards reducing greenhouse gas (GHG) emissions by 20 to 25 percent by 2030. But experts have warned against merely emphasising policies to affect real changes. Under the Facilitative Dialogue 2018, countries will have the opportunity to revisit their nationally determined contributions (NDCs) in a fight to close the gap between the GHG emissions trajectory needed to achieve the goals of the 2015 Paris Agreement. NDCs are outlines of the actions countries propose to undertake in order to limit the rise in average global temperatures to well below 2°C. “Climate change impacts deal with long-term planning. We need to be looking at how we are planning to adapt ourselves to the impact in the next five to 10 years and the infrastructure needed to be resilient to those impacts. It is very site-specific. You can’t really focus on the policy level alone,” Wanun Permpibul of Thailand Climate Action Network told IPS. According Permpibul, unofficial talks have indicated that Thailand may not be revisiting their NDC commitments this year. “When we meet with government officials, they claim that they already achieved 17 percent of reduction even though we haven’t implement the NDCs yet. It seems they are still unsure if we are going to resubmit our targets this year,” she said. She cautioned against this optimism as there are still ongoing projects from the government that contradict their NDC commitment, in particular a plan for two coal-fired powered plants in in the southern tourist destinations of Krabi and Songkhla. Earlier this year, the Electricity Generating Authority of Thailand announced it would delay the construction of the power plants after months-long opposition from local villagers and activists. However, the coal-fired power plants remained on the pipeline with an expected start date in the next three years. “There is no room to say we have a marginalised renewable energy and that is already acceptable. We’ve been working with communities and networks in the lower northern region of Thailand and they have already witnessed the impacts of climate change. It’s more difficult now to plan for their crops because the rainfall pattern has changed,” Permpibul said. Global Green Growth Intuitive (GGGI) is one of the organisations working closely to assist the country’s Office of Natural Resources and Environmental Policy (ONEP). GGGI’s Thailand’s green growth and planning and implementation programme manager Khan Ram-Indra said that Thailand is making meaningful progress on their NDC goals. The organisation has previously worked with the government to develop a GHG reduction roadmap for the Thai industry to remain on track with the agreement. “GGGI’s work in Thailand has a strong focus on green industries. We believe we are in the best position to help Thailand achieve their ambitious target in GHG reduction. Out of the 20 percent [commitment under the NDC], eight percent will be from the energy industry, which is the area we are focused on, so we are currently working to turn those plans into real actions by collaborating directly with the private sector to develop bankable projects,” Ram-Indra said. He said what makes GGGI’s work here crucial is that it is among a few development agencies working to focus on bankable project developments in the implementation phase of the value chain instead of planning. This has already demonstrated hopeful results from local companies. Under GGGI’s Accelerate NDC Implementation track, the organisation worked with local industry to identify potential energy efficiency projects and helped mobilise financing from its reach of investors. Through a series of audits, on-site electricity and economic studies, the organisation was able to narrow down two companies with the most potential for energy efficiency projects. GGGI was also able to raise USD1 million for a green industry project and based on that project, the organisation predicts similar successes across the country. While green investment makes up the bulk of GGGI’s efforts, Ram-Indra stressed that the means are as important as the end. “What we want is to see real tangible GHG reduction by the end of the project,” he added. 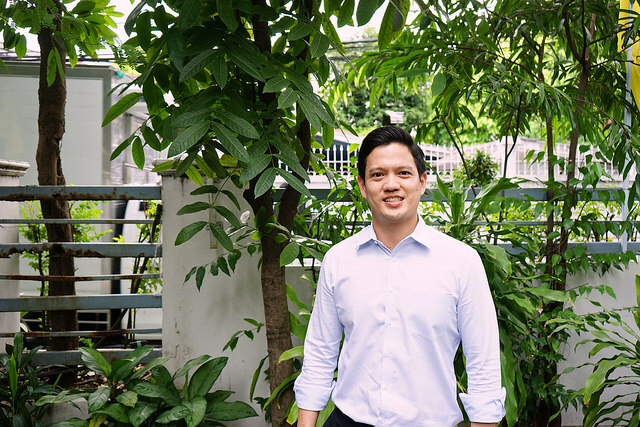 “For our Thailand programmes, they tend to focus more on climate change mitigation. Because GGGI’s mandate is to create a resilient world of strong inclusive and sustainable growth, with all of our projects, especially green cities, we make sure that the plan that we develop to help mobilise finance has a strong aspect of resilience to address climate change,” Ram-Indra explained. Other projects on GGGI’s portfolio also include assisting the Udon Thani municipality develop a feasibility study to decide what will be the most cost-effective measures in collecting e-waste products. Udon Thani, a province located 560 km northeast of Bangkok, is ramping up efforts to become a regional hub for waste products after successfully developing their own waste treatment plant. GGGI is also assisting them conduct a feasibility study for a recycling plant that disassemble products like mobile phones and makes them more economically viable to sell to third-parties. Another focus is on the Green Climate Fund, which Thailand currently has limited capacity in accessing. GGGI is working closely with ONEP which is the focal point of the fund to help the agency effectively access it. Whether these efforts would bolster the country’s results to meet its NDCs by 2030 remains to be seen. “If you set your demands very high, it doesn’t reflect the reality of this country. Rather, why don’t we use the time and resources to make our targets more ambitious and affect real changes,” Permpibul concluded.